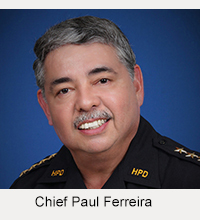 After conferring with prosecutors, Hawaiʻi Island police detectives have charged a 43-year-old Puna man in connection with a fatal shooting Monday (May 20) in the Nānāwle Estates subdivision. 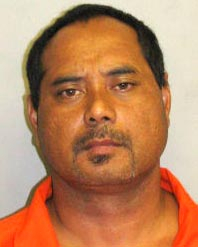 Seon Keoni Aki of Nānāwale Estates was charged at 2:30 p.m. Wednesday (May 22) with second-degree murder, use of a firearm in the commission of a felony, ownership prohibited (firearm), ownership prohibited (ammunition), place to keep a firearm and first-degree terroristic threatening. 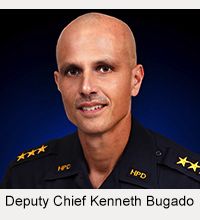 He is being held at the Hilo police cellblock in lieu of $370,000 bail pending his initial court appearance scheduled for Thursday (May 23). Also Wednesday, an autopsy determined that the victim, 40-year-old Mateo D. Balinbin Jr. of Nānāwale Estates, died from an injury to the brain from a gunshot would. The death was ruled a homicide.